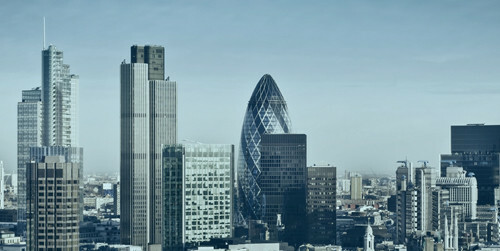 Some of the country’s most established companies have decided to abandon their roots in London and move their British headquarters to elsewhere in the country – and the significance of these decisions hasn’t been overlooked by those who are keeping a close eye on the UK property landscape. Here, we discuss why corporations such as the BBC and HSBC have decided to relocate, and what their moves mean for the regional property markets as a whole. It’s no secret that rents in London have hit an all-time high. On average, tenants can expect to pay as much as £1,500 per month to occupy a standard-size house or apartment. In the second quarter of 2015, London rents actually increased five times faster than the corresponding income of tenants, a scenario which is increasingly placing the dream of finding a ‘place to call their own’ out of reach for a post-recession generation that’s already struggling to meet the costs of living in the capital. Residential rents aside, the cost of leasing office space in London has also increased significantly, leaving many budget-conscious companies with no feasible alternative but to move their operations elsewhere. The mass migration out of London has turned attention to other flourishing corporate powerhouses in the UK. The North West, and specifically Manchester, is an area that is playing host to a growing number of companies thanks to its thriving business environment, and its attraction has been accelerated further by the large amount of investment that has been placed into regenerating the region’s infrastructure and amenities. Several new landmark developments are being introduced in and around Manchester to cater for businesses of all sizes and orientations as they leave the once-unprecedented allure of London. As reported in the Manchester Evening News last month, The Great Northern Warehouse, which is already home to a number of leisure facilities in the city centre, including a cinema and a casino, will be transformed via £300 million worth of investment into a distinctive 780,000 sq ft mixed-use site that will offer even more offices, retail units and restaurants. Schemes set to support development for businesses by improving connectivity to and from the region include the new H2 Speed Rail project; the Metrolink network; and Airport City Manchester, which has been billed as ‘the World’s Intelligent Business Destination’. The local economy is already worth a staggering £55 billion per annum; with many more expansions and improvements planned in the coming years, Manchester is still set to grow at an unprecedented rate, which will only serve to cement its reputation as a 21st century hub for modern business. Growing interest in Manchester and the North West has naturally led to an increased demand in rental accommodation, both for the organisations themselves and the commuters who are keen to move closer to their place of work. More than 2.9 million people currently live in Manchester, and with this figure forecasted to grow further, new housing schemes are being announced at a rapid rate to supply property to address the swelling housing shortage. For this reason, investors are in agreement that the region’s buy-to-let market is well and truly in its prime, and exceptional opportunities to invest in quality residential properties in Manchester should not be missed.